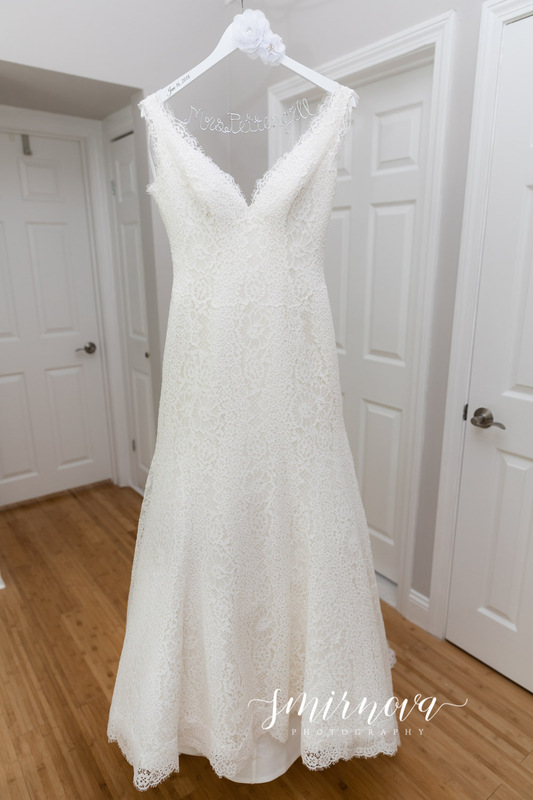 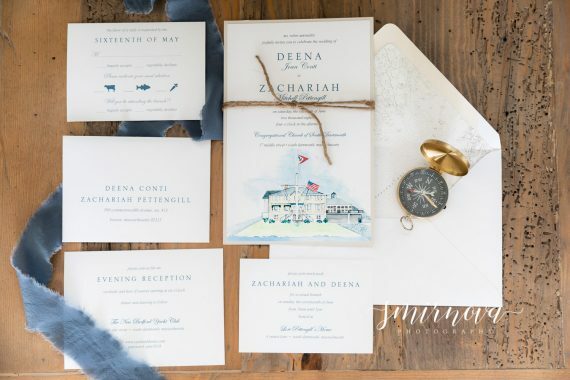 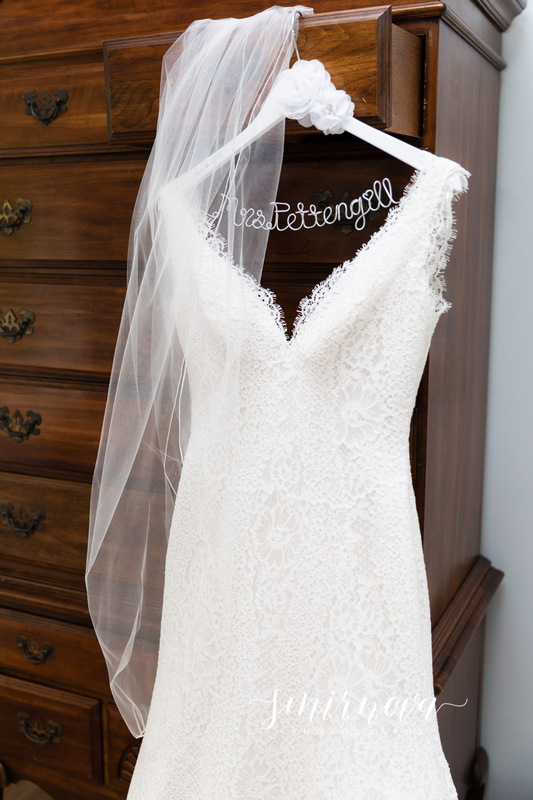 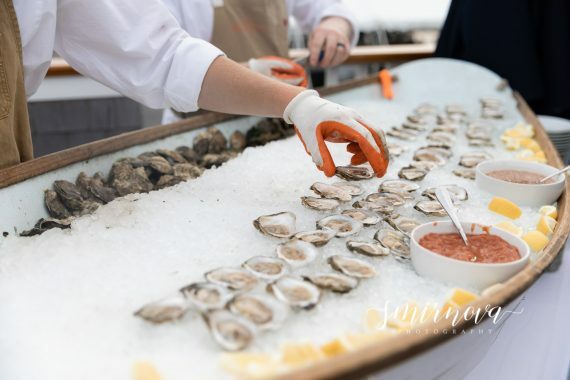 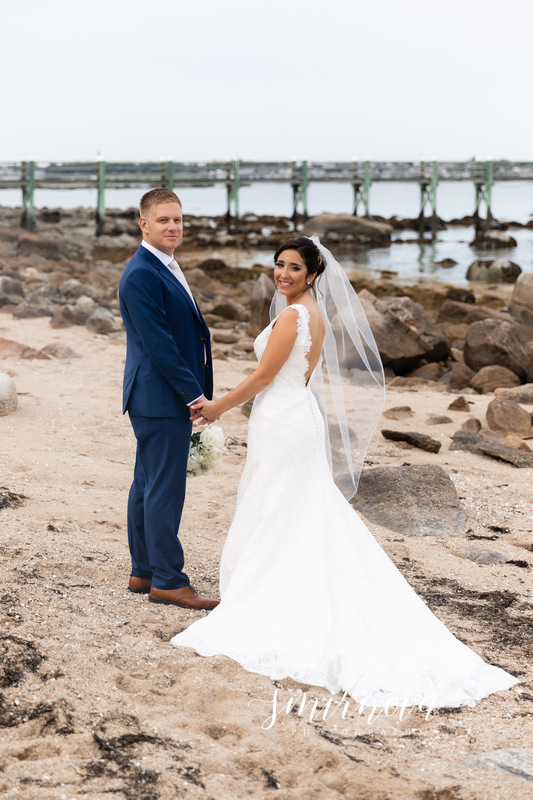 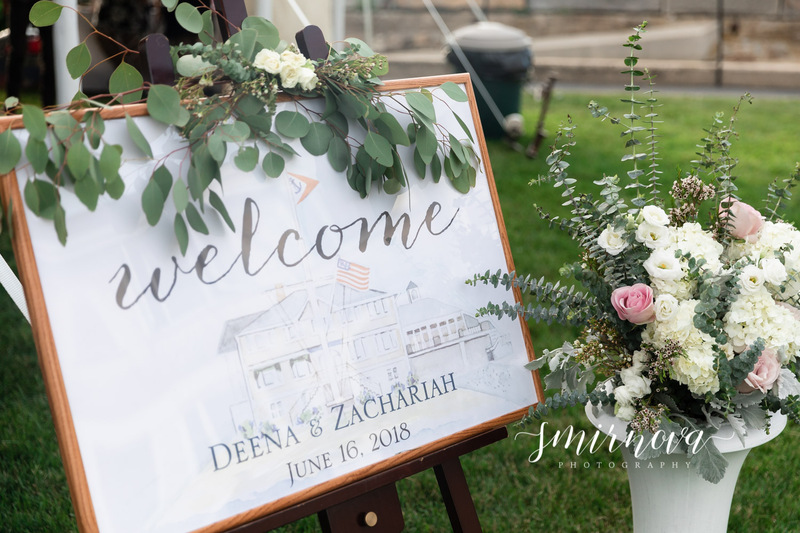 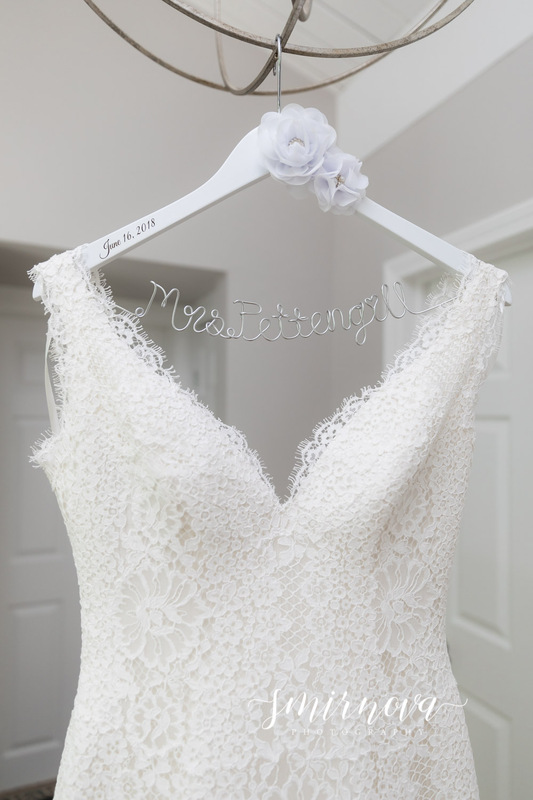 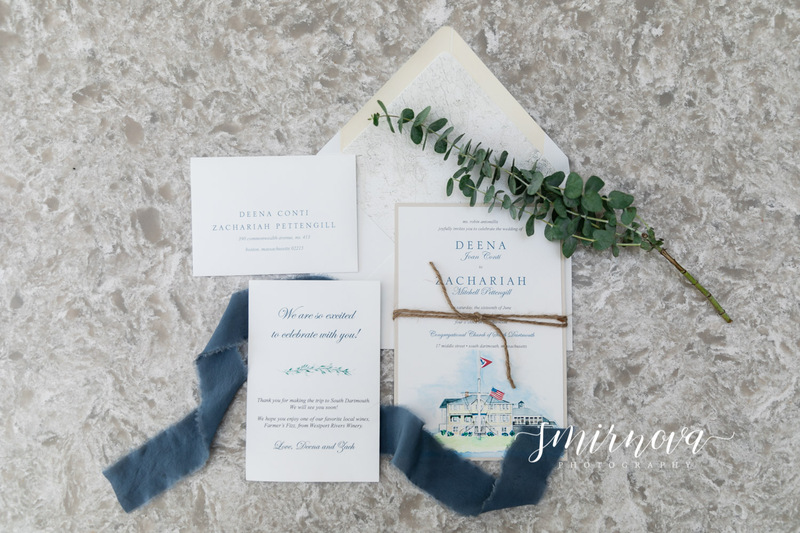 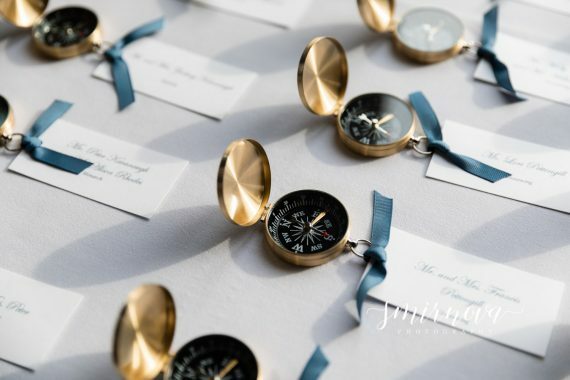 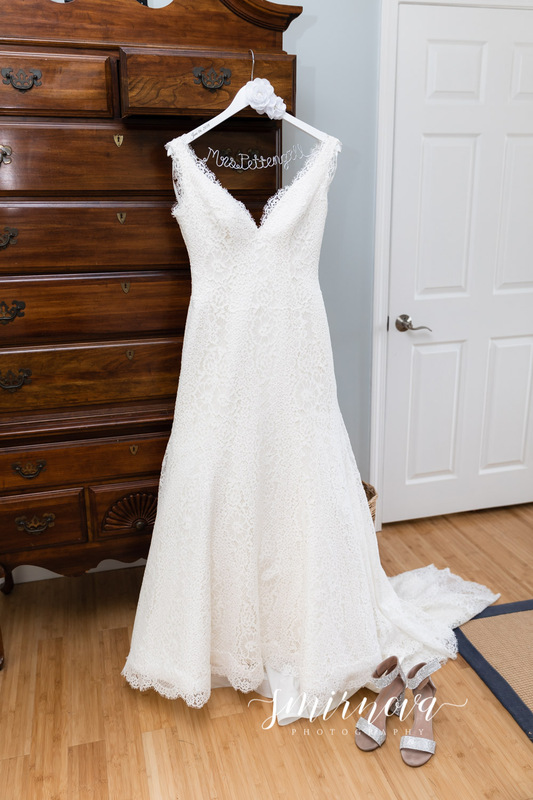 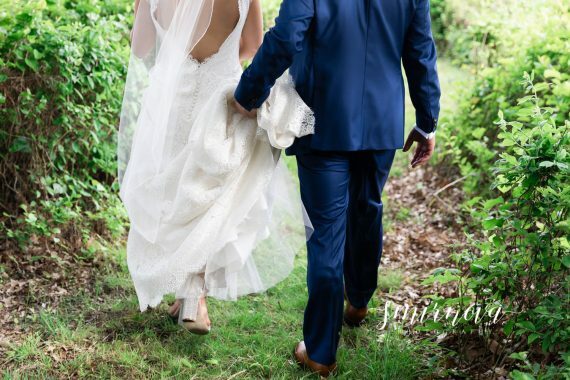 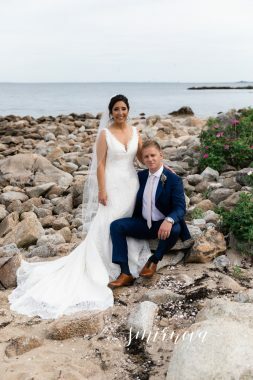 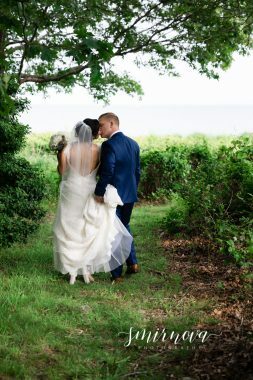 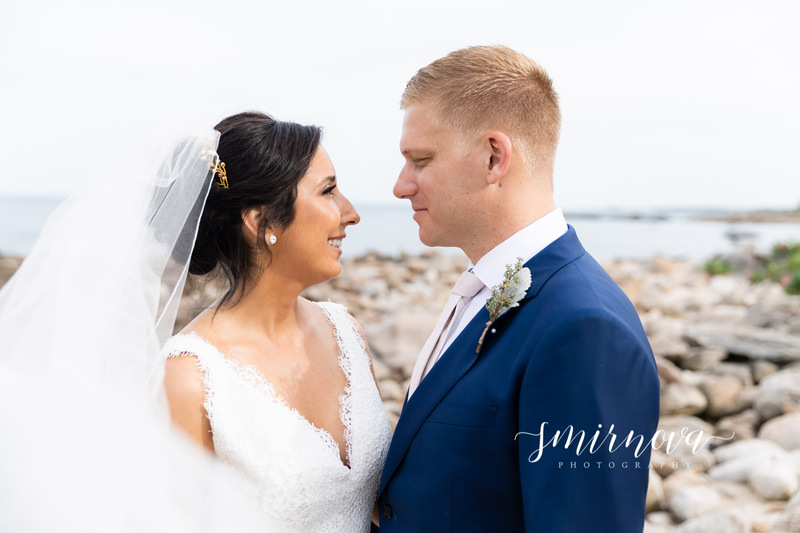 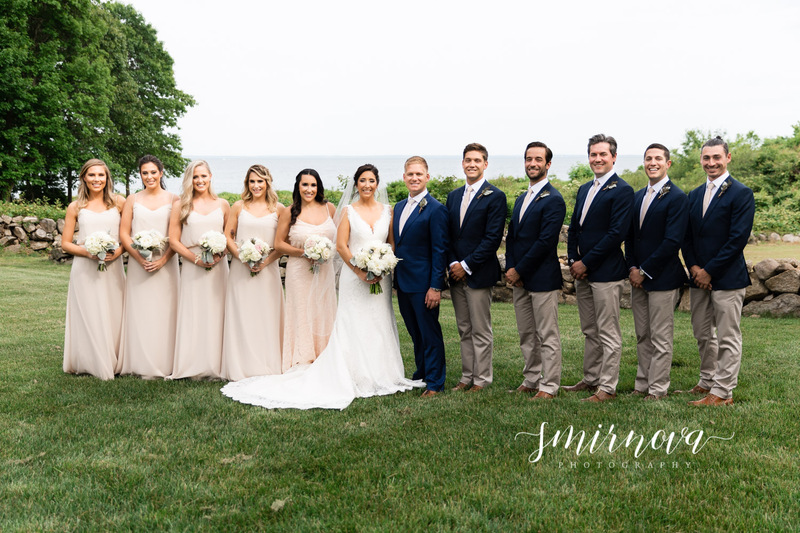 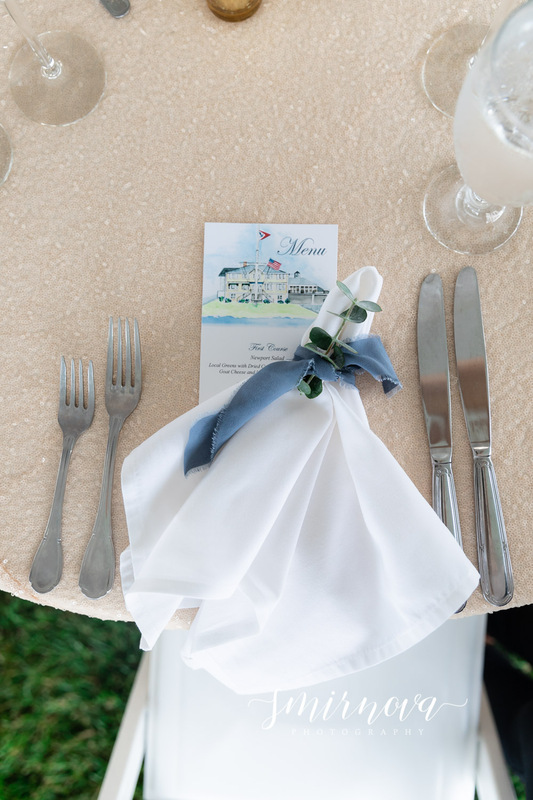 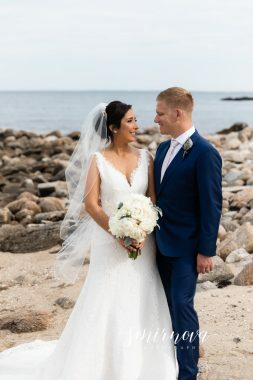 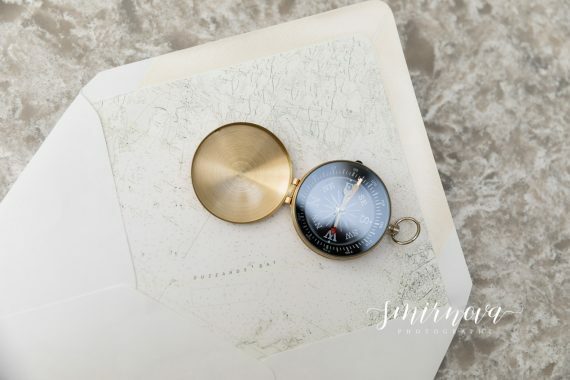 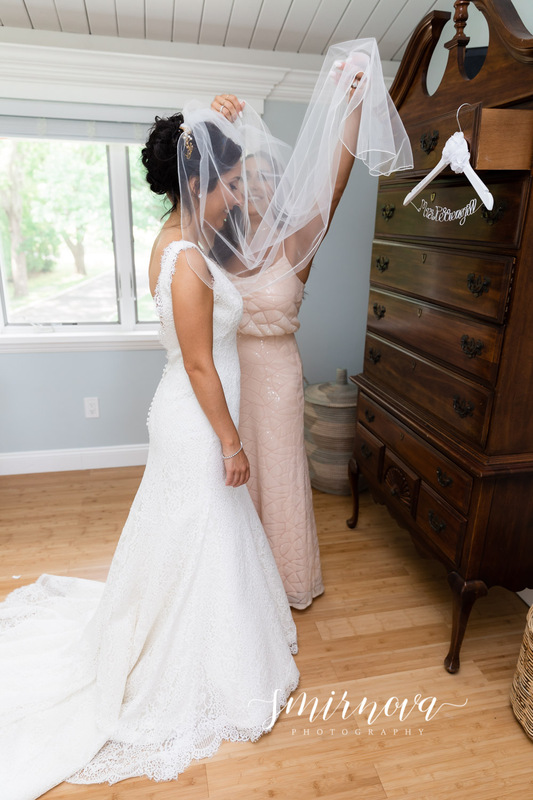 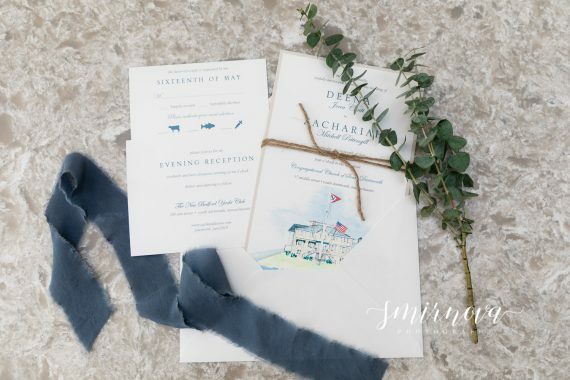 Deena and Zach had a beautiful nautical themed New England wedding. 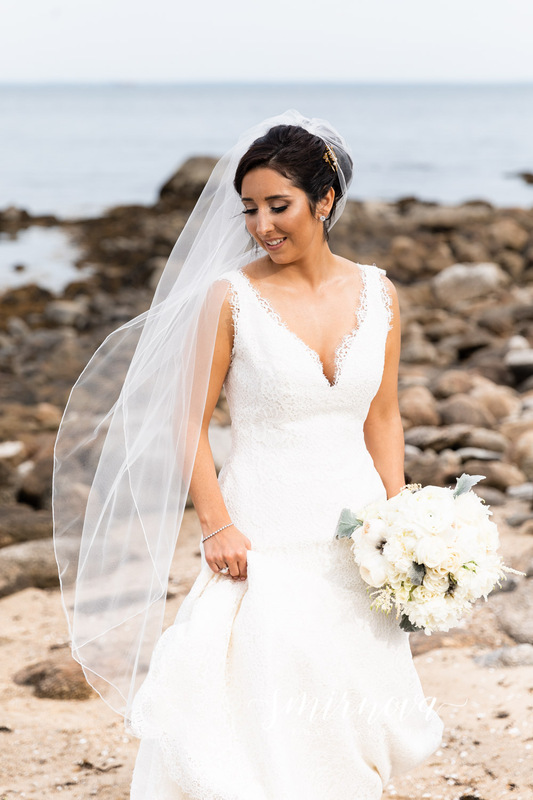 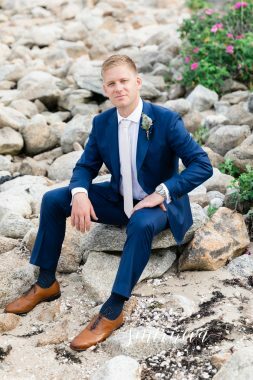 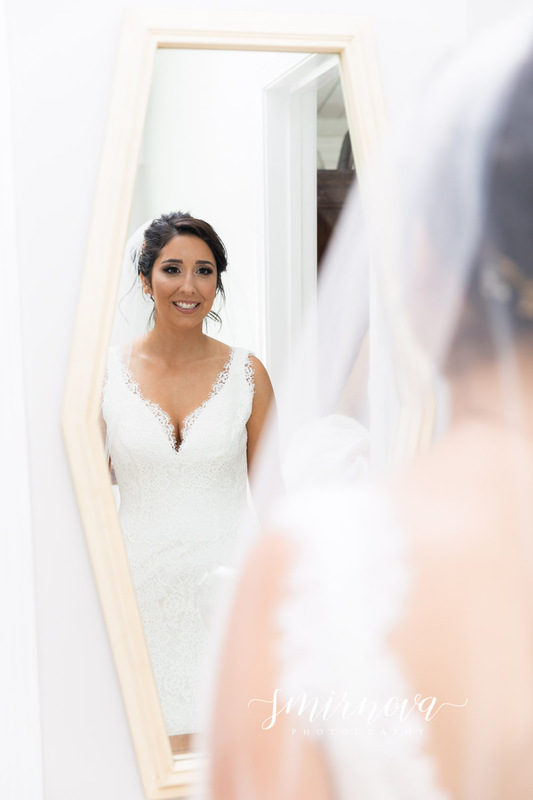 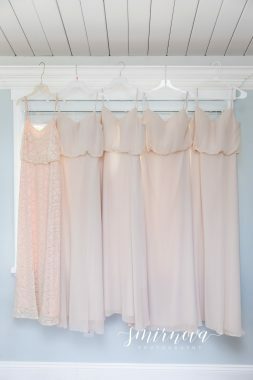 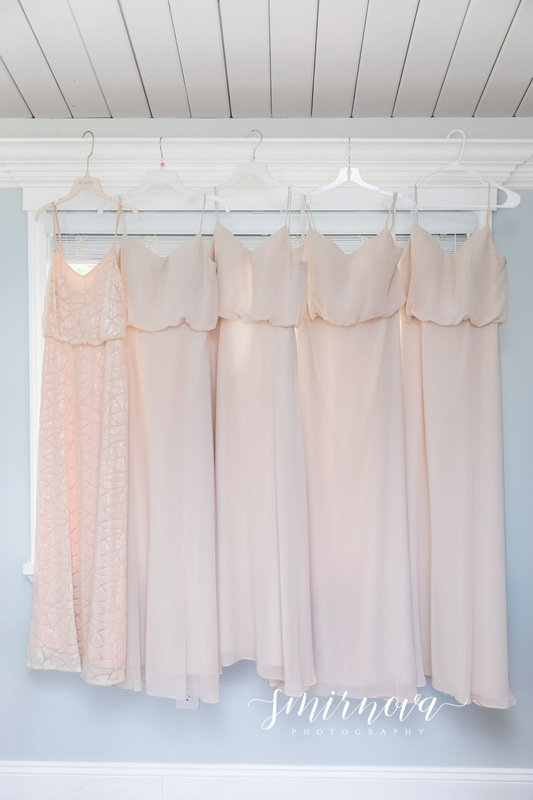 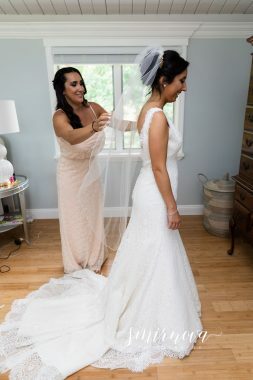 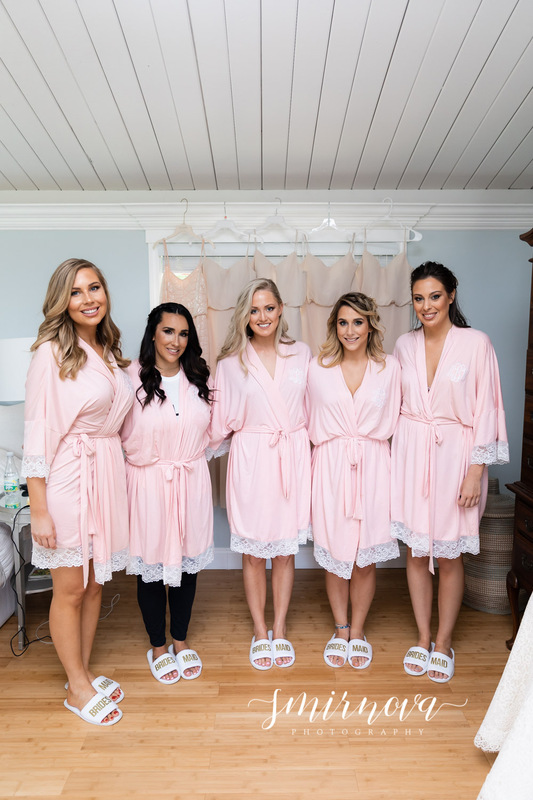 They were able to use a friend’s home along the ocean to get some amazing bridal prep and portraits. 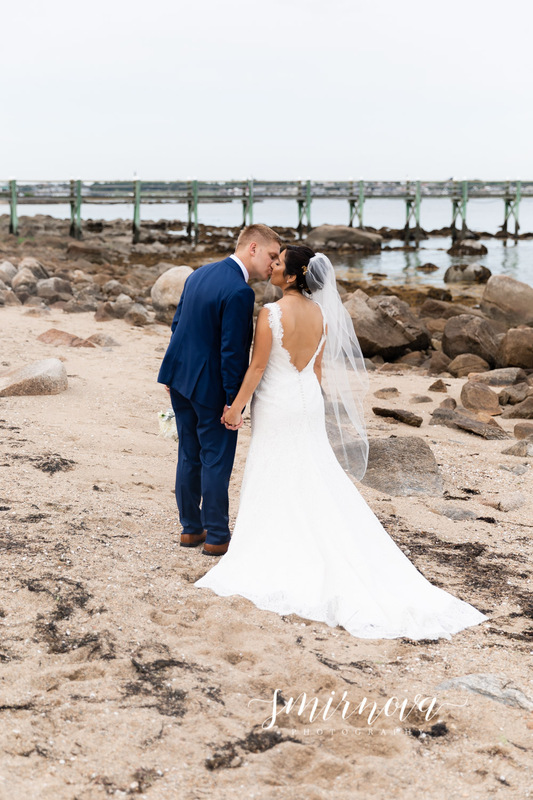 It was only a short walk down to the beach. 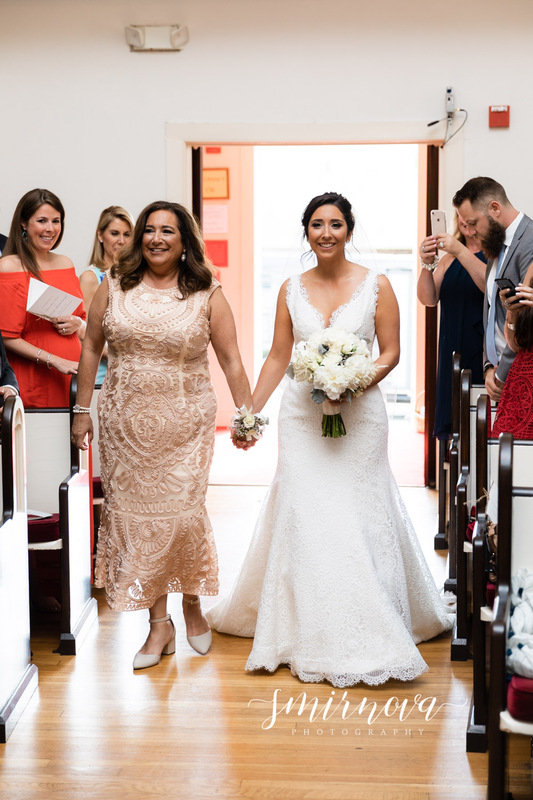 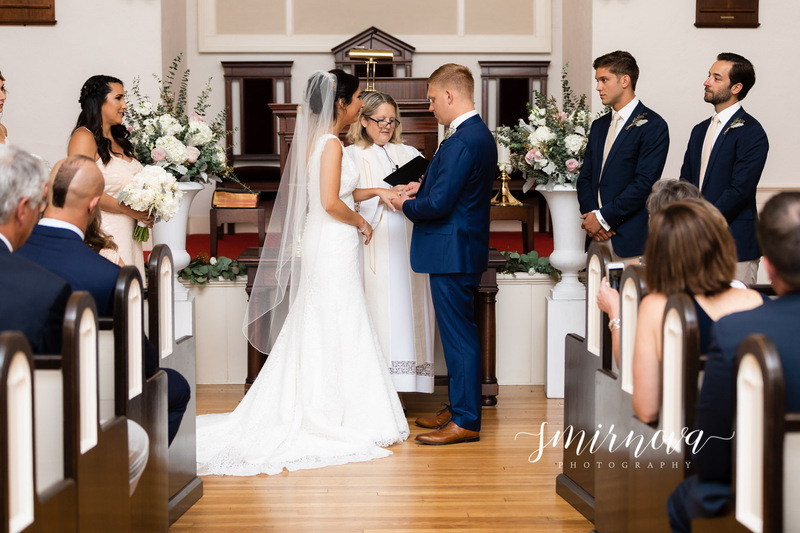 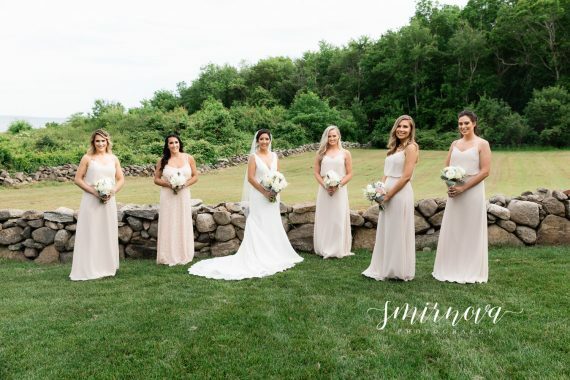 The ceremony was held at an intimate chapel called the Congregational Church of South Dartmouth. 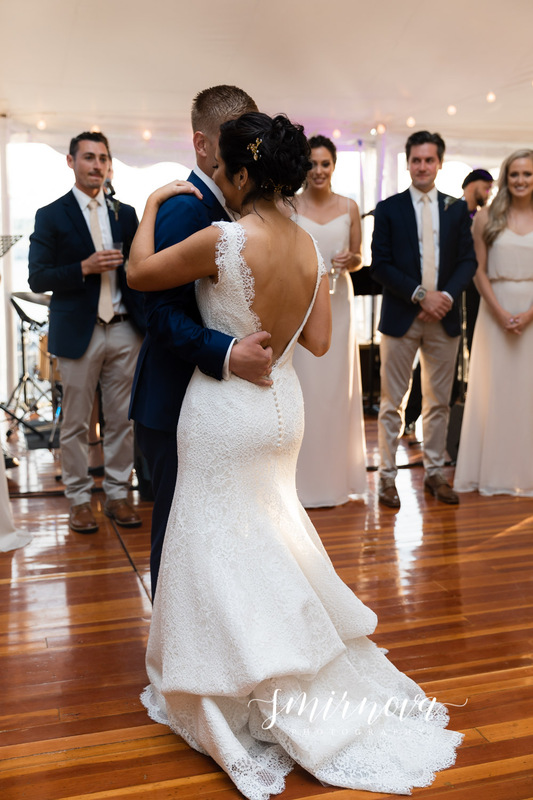 Finally, the evening ended with a candlelit dinner and sunset view along the boat docks at The New Bedford Yacht Club. 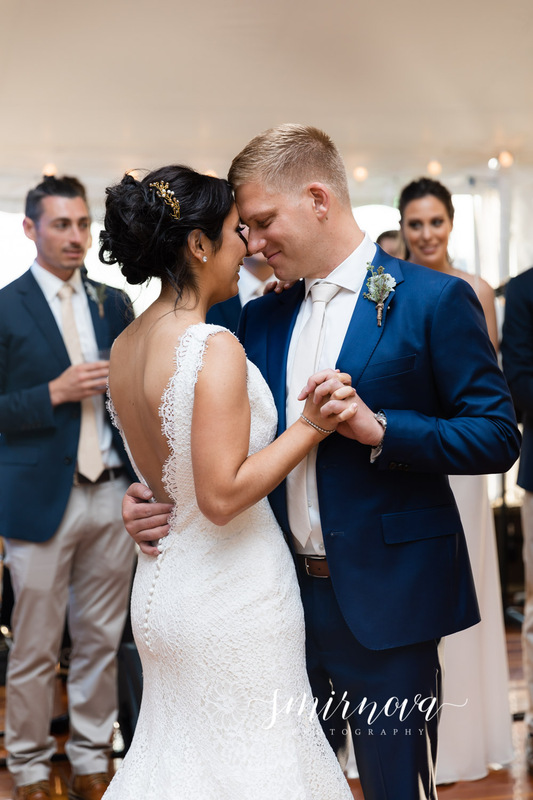 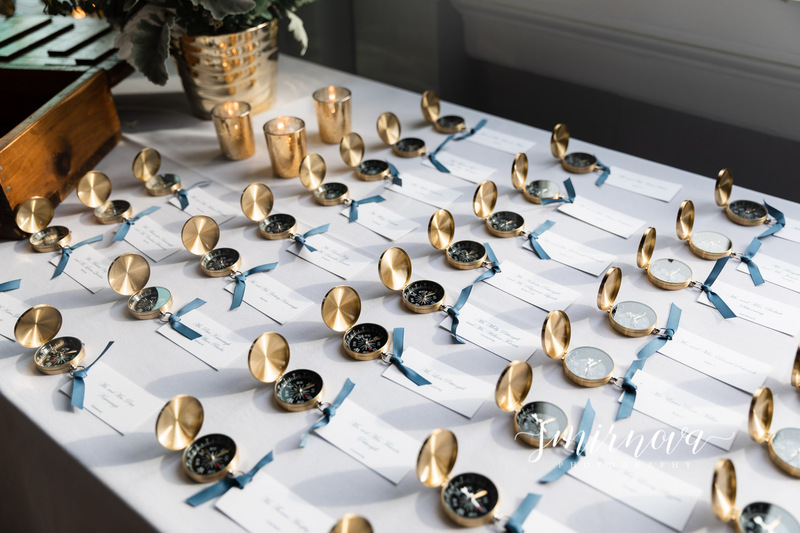 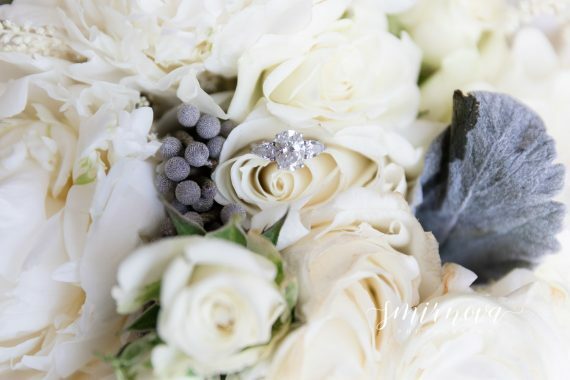 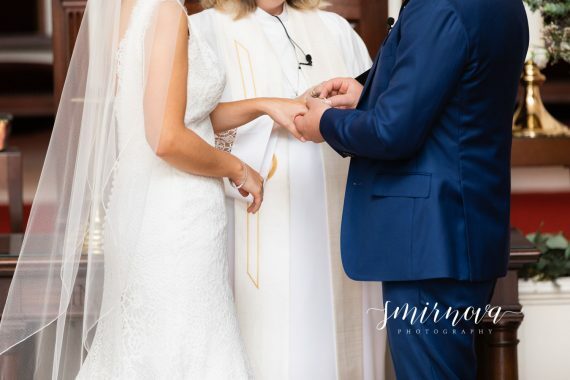 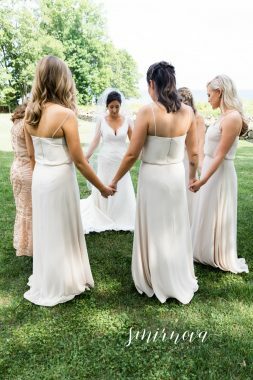 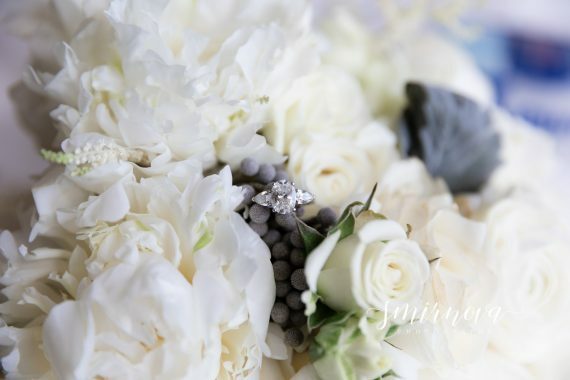 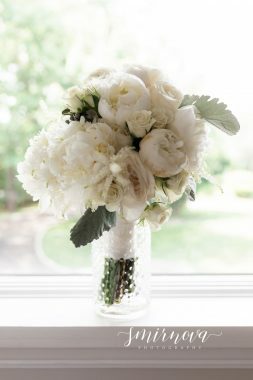 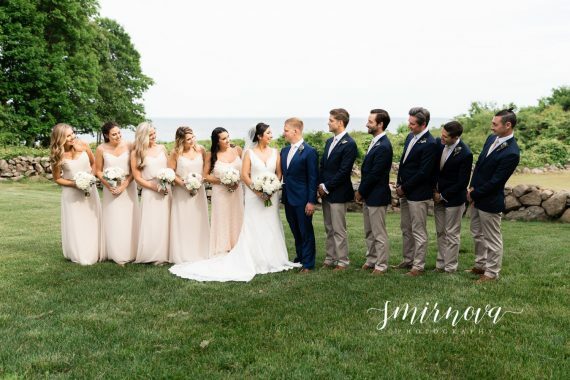 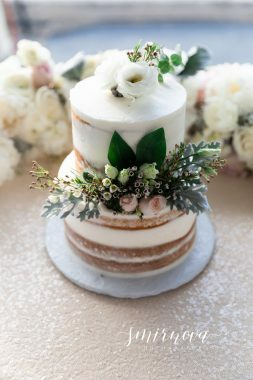 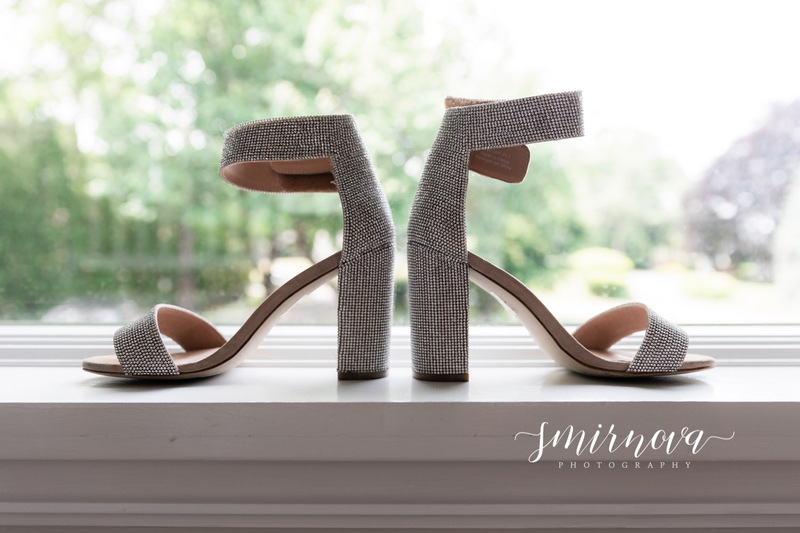 Every detail of their wedding matched up perfectly and it was all organized in a way that was meaninful to the bride and groom. 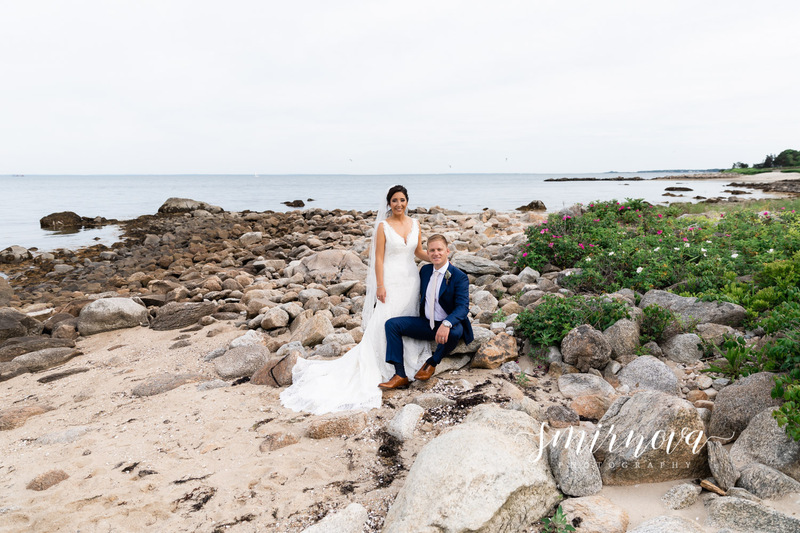 They also held their engagement session along the same beach since it is a significant location for them. Check it out HERE.